At Spilotras Painting, our interior house painters in Rockland County, NY value preparation. In fact, preparation forms the core of our philosophy. We make sure that before we begin painting the interior of your home that every possible variable is accounted for so that our work is done quickly, efficiently and impeccably. We understand how important your residential or commercial property is to you, so we take painstaking care with every job. Our painters initiate and complete every project with a high degree of preparation and attention to detail. When starting painting jobs, our professional painters use specific techniques and equipment to ensure the surfaces are properly prepared for painting. While each job is under way, we adhere to strict quality control measures. After the project, we make sure the work area is thoroughly clean and ready for use. This results in a smooth, successful project that our clients appreciate. We provide an array of interior house painting services to enhance the visual appearance and overall feel of your home. Our commitment to preparation expands beyond the scope of the project. It also encompasses our distinctive approach to hiring and training qualified painters in Rockland County, NY. Spilotras Painting uses a thorough screening process for all job candidates. New employees complete an “internship” period, during which their skills are carefully re-evaluated by top management. In addition to this intensive screening process, new hires also undergo in-depth training to ensure they’re prepared to perform according to our high standards. As interior house painters in Rockland County, NY, preparation is paramount to our success. This philosophy is aptly reflected in our clear-cut corporate slogan: Preparation. Preparation. Preparation. Our strong commitment to preparation results in high quality workmanship and extremely satisfied clients. Experience the essence of our philosophy of preparation for yourself. 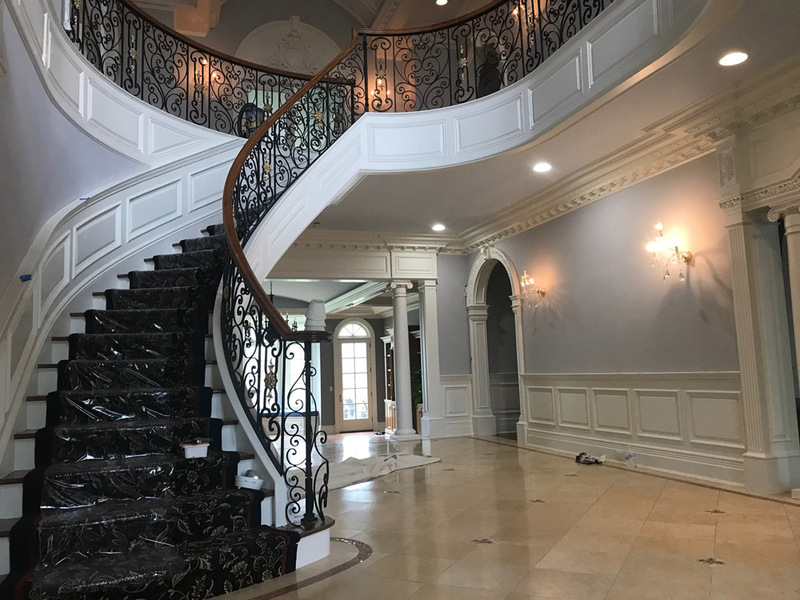 Browse through our gallery of residential and commercial projects or for free estimate from our interior house painters in Rockland County, NY call Spilotras Painting at (845) 627-1111. Spilotras Painting - Your trusted interior house painters in Rockland County, NY.